When Mitchell Starc thundered through the defences of Vishwa Fernando to pick up his second five-wicket haul of the Canberra Test, you could be forgiven for thinking Sri Lanka and Australia were playing different sports. After what has been arguably the most tumultuous 12 months in the nation’s rich cricketing history, a visit from Sri Lanka was just the antidote Australia needed ahead of a World Cup and Ashes series. But a closer look at the plight of the two nations who were powerhouses of the game during the 2000s shows they might not be too dissimilar after all. Australia would be well-advised to take a strong look at what has caused Sri Lanka’s alarming drop into cricket purgatory to avoid the same fate. While Australia’s cricket dynasty throughout the 90s and 2000s could be seen coming with the country’s incredible wealth of talent, Sri Lanka was almost the accidental success story. Names like Ranatunga, de Silva, Jayasuriya, Muralitharan, Vaas, Sangakkara and Jayawardene rose above the turmoil and corruption that plagued cricket in Sri Lanka for decades to become household names. Perhaps the most unfortunate thing for that group of names, who were all undeniably great players in their own right, was their time at the top coincided with Australia’s most brilliant generation. Even so, they won a World Cup and built a side to be feared. It could have been the platform to break the wheel of dysfunction that has been almost a constant for Sri Lanka cricket but an era of excellent players and overachievers only served to paper over the cracks that have now well and truly opened up to expose an ugly underbelly. The problem in Sri Lankan cricket appears to start and end solely due to the poor culture in the national team. Despite the failings of the national team in recent times, Sri Lanka possesses one of the stronger Under-19 teams in world cricket. Talent comes into the elite setting well prepared. It’s what happens afterwards that appears rotten. According to Sri Lankan sports minister Harin Fernando, the problem in the national side is due to the team’s experienced players feeling a certain level of privilege with regards to their position. Prior to Sri Lanka’s ill-fated tour of Australia, Fernando sat down Lasith Malinga and Angelo Mathews and gave the pair a stern warning. “We have a very good Under-19 team and a very good emerging team, so I said don't be comfortable about your place,” he told ABC Grandstand. It’s a different kind of culture problem to the one Australia has been forced to address over the last 12 months, but the two case studies are fascinating when put side-by-side. 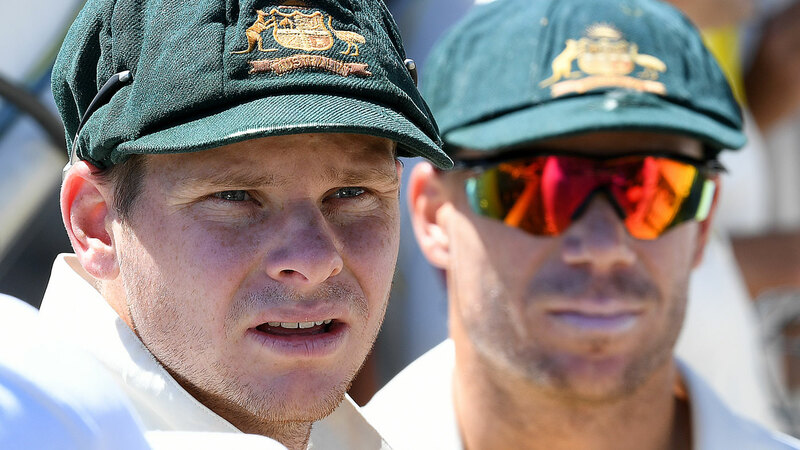 Sri Lanka was one of many countries that reacted with surprise when Cricket Australia came down heavy-handed on the country’s best player and captain Steve Smith as well as David Warner and Cameron Bancroft for their involvement in the ball-tampering scandal. While Australia’s cricket governing body took swift and strong action on the perpetrators, a source with knowledge of the inner workings of Sri Lanka cricket says a blind eye is often turned to similar indiscretions, particularly as it pertains to stars of Smith and Warner’s ilk. The result? Unprecedented player power in the Sri Lankan locker room, something that desperately needs to change. The current Sri Lankan side is full of young and impressionable players, and when they see their veteran teammates taking certain liberties, that behaviour is taken as being normal. Fernando admitted that as it pertained to issues such as match fixing, he found that players had not been adequately educated about what was right and wrong. “It was a lack of communication; the players and the administrators did not know what is right to do and what is wrong to do,” he said about a problem that has taken root in the subcontinent more than anywhere else. While the way both cricket boards have dealt with team culture issues have been different, the “win at all costs” mentality in Australia’s locker room that led to what happened in Cape Town might well have been born due to similar locker room behaviour being permitted. Throughout the heyday of the likes of Muralitharan and Sangakkara, the Sri Lankan team was renowned for playing the game with a sense of joy, something that was startlingly missing during their 2-0 drubbing to Australia. The distinct lack of joy on the field was also witnessed by Fernando himself, after he travelled down to Australia to meet with the team while on tour. “I feel that their body language is not up there,” he said. The captain during the Australia tour, Dinesh Chandimal, was unceremoniously sacked following the series. Players under the captain sniping behind his back in an attempt to get his role is widely understood to occur in the Sri Lankan dressing room, something which further pollutes the team’s chemistry. Multiple players being capable and worthy of being captains in a playing XI isn’t entirely unusual. Australia during its halcyon days had several players with the credentials of a captain, with the likes of Shane Warne among them. Sri Lanka during its golden era had the likes of Aravinda de Silva, Sanath Jayasuriya and Hashan Tillakaratne, but there was no sniping behind Ranatunga’s back to usurp him. After winning consistently for the best part of two-decades, administrators within Sri Lanka Cricket are struggling to cope with the constant losses that come with blooding young players. While admitting that the Sri Lankans are trying to mix experience with youth, Fernando said that the veterans in the team would be held accountable for their misdemeanours. “Sri Lanka has talent and depth in our cricket,” he said. One of the problems both Sri Lanka and Australia have struggled to cope with is the mass exodus of generational talent. Australia’s number three position in the Test side has been a revolving door since the retirement of Ricky Ponting, as have the team’s opening positions since the retirements of Justin Langer and Matthew Hayden. Similarly, Sri Lanka has struggled mightily to fill the crater-sized void left by Sangakkara and Mahela Jayawardene. A common occurrence during Sri Lanka’s most recent tours to Australia and New Zealand has been promising starts with the ball before conceding mammoth partnerships. In Brisbane, the tourists had Australia 4/82 before allowing a 166-run stand between Marnus Labuschagne and Travis Head, which effectively put the game out of reach. Canberra saw the Australians fall to 3/28 before Head combined with Joe Burns to pile on 308 runs. Unlike the Australian attack, which sustained pressure for sessions on end, Sri Lanka was often unable to do so for more than an hour at a time. After the first Test, three of Sri Lanka’s first-choice bowling attack was forced to miss the Canberra Test due to injuries. Angelo Mathews, the team’s best player, has been unable to deliver on his early promise due to consistent soft-tissue injuries. The Sri Lankans were quite late to arrive to the high-performance hiring table, and the specialist fitness staff are understood to have requested bowlers to cut down on their respective workloads during practises. Bowlers, who were once required to bowl for hours on end, now regularly bowl between four to five overs in practice, rendering them unable to have the fitness or discipline to bowl consistently for long periods. According to Fernando, the continued loss of momentum after promising starts is a sign of the players’ “character and their experience”. Mathews’ fitness has been an area of constant conjecture for a while, and continues to be a major headache for a side which viewed its post-Sangakkara transition to be centred around the talented all-rounder. After a promising debut in 2009, Mathews has suffered so many soft tissue injuries that he plays primarily as a specialist batsmen whenever he is fit enough to make the XI. The 31-year-old was briefly dropped from the team’s limited overs side but returned defiantly, scoring an unbeaten century in New Zealand and immediately dropped down to the ground to do some push-ups: his way of giving the team’s fitness staff the middle finger. The result? Mathews picked up yet another injury and was unable to partake in the tour of Australia, and is currently in Sri Lanka recovering from his injury. Social media has also become a problem in the Sri Lankan dressing room, and was described by Fernando as a “menace”, as evidenced by the recent spat between Thisara Perera and Lasith Malinga’s wife. Players in the dressing room, who are already on edge due to poorly-organised tours that have kept them away from home for months on end, have been left majorly distracted by social media and have particularly struggled to deal with criticism from fans after poor performances. Fernando said he is working with the team to develop guidelines for what players can and cannot do on social media, while trying not to be overly stringent. “We’ve been trying to tell them not to talk about stuff they should not talk about,” he said. Australia’s ball-tampering crisis came just before CEO James Sutherland left his post along with chairman David Peever as Cricket Australia attempted to shift the culture away from what led to Cape Town. The good news for Sri Lanka is the country’s newest sports minister appears to want to address the problems plaguing cricket in his country. However the problem for Sri Lanka cricket, and for Fernando, is that he may not be allowed to make the changes he envisages due to administrators who have benefited from the dysfunctional status quo. Fernando assumed the post in December, and was immediately offered a bribe by a family member of a player trying to gain selection in the Sri Lanka A team. Such was his paranoia regarding the administrators and shady figures surrounding the side, he told ICC that he initially suspected the ploy may have been a deliberate attempt to try and get him removed. “That communication was trying to tarnish me and destroy what I was trying to do,” he said. Since his inception in December, Fernando has sought to work hand in hand with the ICC in order to remove the “rotten eggs” in the set up. There is now a permanent ICC officer based in Sri Lanka, who will be working cohesively with Fernando and the administration in order to weed out the “root causes” of corruption. Among the host of changes that Fernando is trying to make is amending the Sri Lanka Cricket constitution in an attempt to decrease the number of teams in the country’s first-class competition. “We have too many domestic teams in Sri Lanka so it is very easy to manipulate the system and get involved,” he said. Fernando has enlisted the help of some of the nation’s finest cricketers in Sangakkara, Jayawardene, Roshan Mahanama and Siddath Wettimuny to change the constitution. Despite being a politician himself, Fernando is keen to end the political influence that has hounded Sri Lankan cricket for decades. “We are the only country where the sports minister approves the team and I don't want to do that. I want to change that too,” he said. “We do not want our cricket to be politicised and unfortunately this was done because the administration was not straight. “If a minister who does not know sports or cricket tries to change because somebody says, ‘this boy is not good’, it's very unfair for the team. Sri Lanka may seem mired in purgatory, but there is a way out of the dark, if they’re willing to take it. Australia heads to England for the World Cup and the Ashes high on confidence after feeling the joy that comes with a comprehensive win, something that they hadn’t felt in the best part of a year. But forget the innings victory and Mitchell Starc’s crushing 10-wicket haul, the biggest lesson for the Australians to take out of the series is simply looking at how to avoid the plight of its lowly opponent.